Everything from student achievement to leadership development to community wellbeing can be improved with an understanding of unspoken color lines, and a willingness to make connections. Using storytelling and anecdotes, Sheridan and Joe will speak from their own "Ah-ha!" experiences of transformation, as well as those they've witnessed along the way. 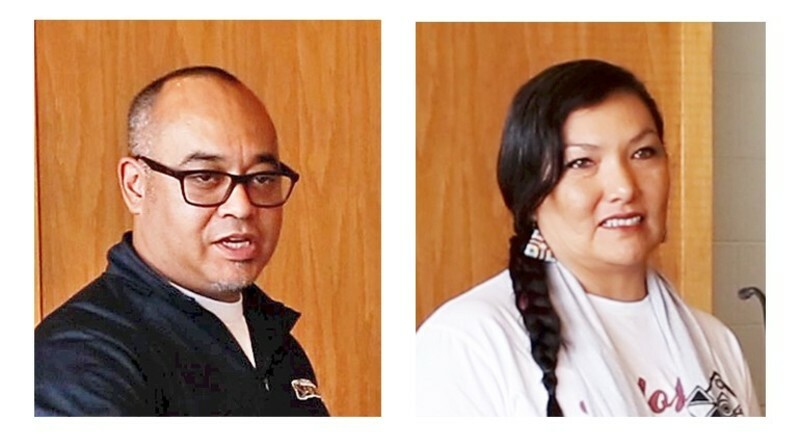 Bios: Sheridan and Joe McNeil are educators and leaders who come from Standing Rock and currently live in Bismarck. After being employed at Sitting Bull College for a number of years, Sheridan now serves as Career and Technical Educational Director at United Tribes Technical College. Bio: Joe is the President of Rock Industries, which is a business that creates economic development on Standing Rock. He also served on the Standing Rock Sioux Tribe as a Councilman At-Large. Joe enjoys cooking and owns McNeil Catering. He uses family recipes to delight crowds both small and large. They also encourage that you take the Color Lines Excercise(see attached pdf).